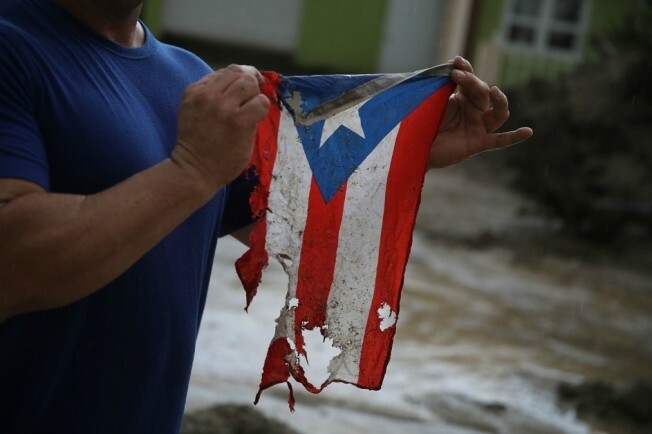 In this October 6, 2017 file photo, Jose Javier Santana holds a Puerto Rican flag he found on the ground after Hurricane Maria passed through on October 6, 2017 in Utuado, Puerto Rico. Puerto Rico's governor on Thursday announced the creation of a task force that will examine the number of deaths related to Hurricane Maria, NBC News reported. The task force is expected to release its findings in 90 days. The death toll is over 60 but the issue of the death count has been controversial. Puerto Rico's Center for Investigative Journalism and The New York Times suggest the real number may be more than 1,000. Puerto Rico's public safety secretary will create and coordinate the process with the health, forensic and demographic registries, NBC News reported.